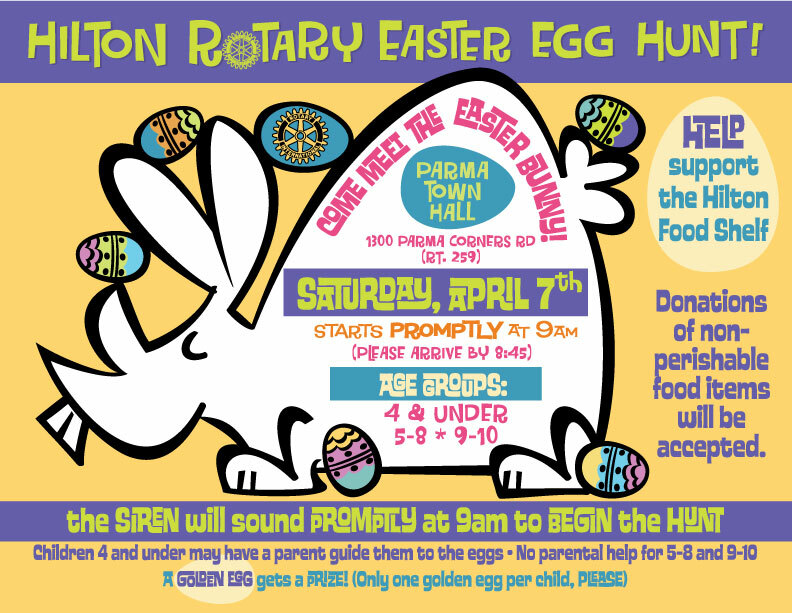 On Saturday, April 6th, Hilton Rotary will hold their annual Easter Egg Hunt. Kids up to age 10 are welcome to join us for this FREE event. Over 2000 eggs are stuffed and placed on the grounds at the Parma Town Hall. There are even golden eggs that receive a special prize. As always, The Easter Bunny will be joining us and our friends at Hilton Fire Department will be on hand to sound the siren to start the hunt. We look forward to seeing everyone!